South East Asia well deserves its fame as probably the best place in the world to travel for those who love spicy food. 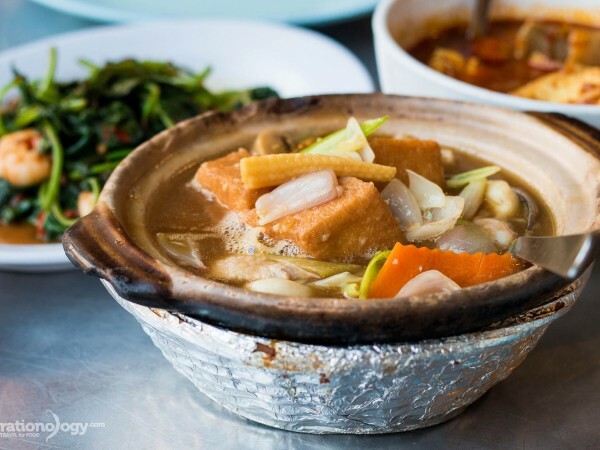 This is a must eat food in Malaysia, and I recommend you to try it in Melaka – honestly, I think its worth a trip here just to eat this food. The sourness traditionally comes from sour tamarind (boiled until soft, and then squeezed to make juice), and spicy, of course, the from use of fresh chili peppers. Two simple ingredients as a base for an entire world of flavor possibilities. The version of Asam Pedas we had today, in English I would call something like a sour curry chili soup. 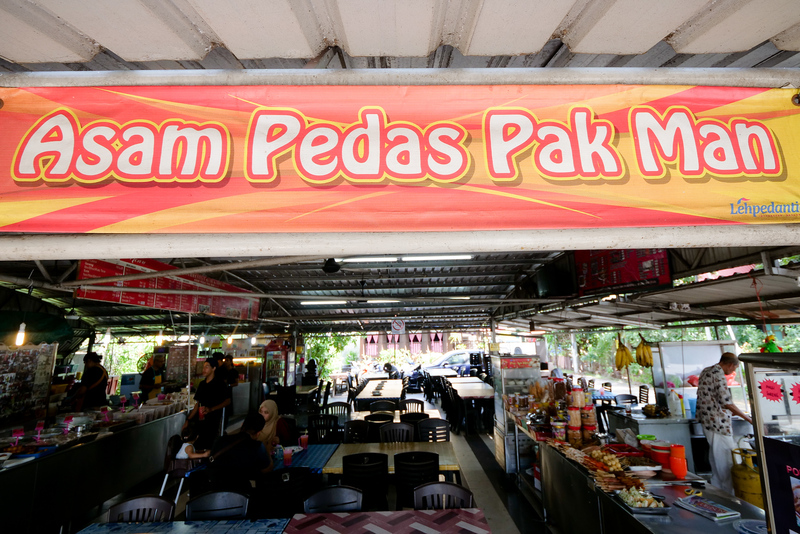 In Malaysia this recipe originates in villages along the South East coastal region (including Melaka), and one of the best restaurants to have Asam Pedas is right near Melaka’s downtown area. This video includes our full day ultimate Malaysian food tour of Melaka. You can watch it on YouTube here. Grains of steamed rice, ready to soak up as much curry chili soup as possible. Walk over to the large and colorful menu, and try to restrain yourself from ordering more than a few things (just for now, you can always order more). The foods might take a few minutes to prepare, as this is not a pre-made meal. However, if you would like to eat both now and later, the fried roti section next to the sweets table is also quite famous from this restaurant as well (and those come immediately, but more on that later). Choose your fish, some of them need to be weighed first, and then tell the counter how many plates of rice you would like to have. 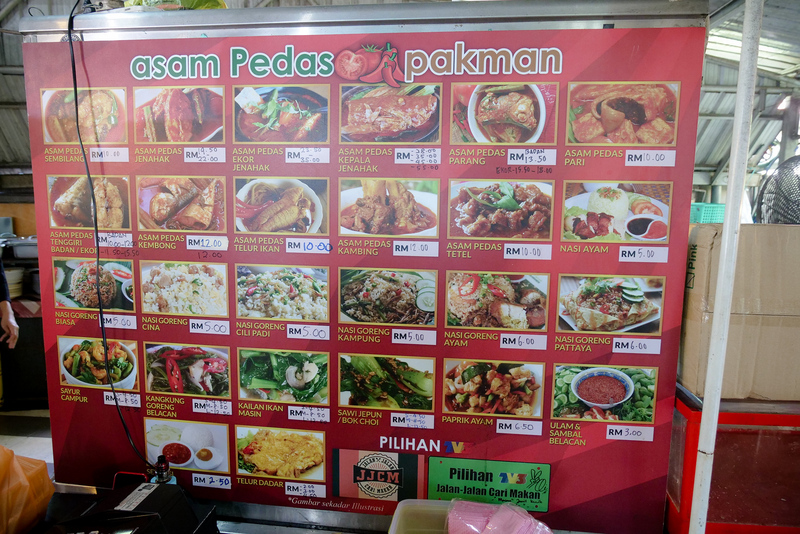 Many restaurants in Malaysia offer rice as a self-service item, but at Asam Pedas Pak Man they will serve rice to you at your table. 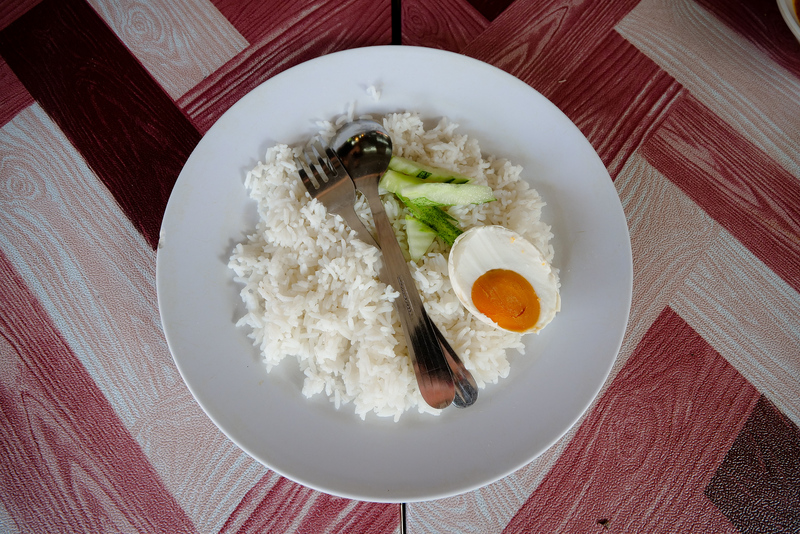 The rice usually comes like you see in the photo above, with a salted egg and a simple and crunchy sidekick (usually cucumber). The first fish to order here is a type of tuna (I think it is skipjack tuna), a fish commonly eaten in Malaysia and all over South East Asia. 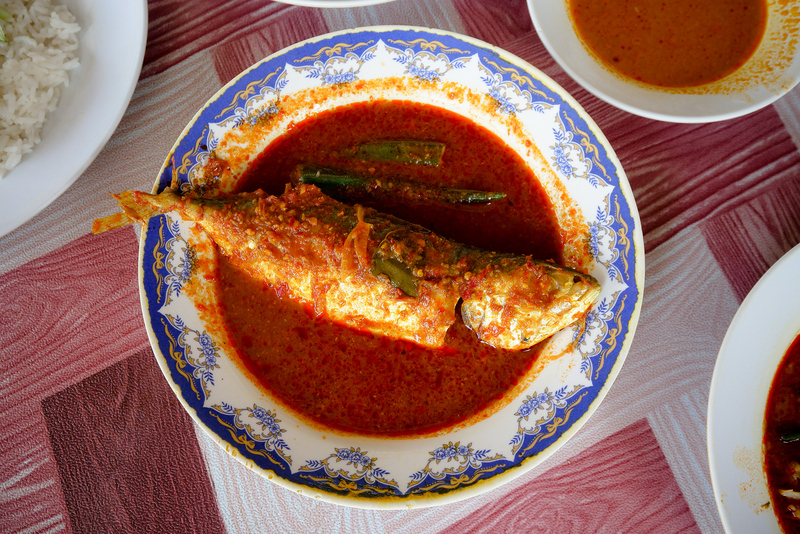 You can order a few dozen different meat options to go with Asam Pedas, but as local Malay tend to have this curry with fish, we had to try it first with fish as well. This tuna is one that will give you a great base of comparison of flavors as you begin the meal. It is a firm meat, one that you can easily hold with a few fingers, and also stable enough to sweep through a curry sauce like this (‘scoop‘), dipping up a maximum amount of flavor. Grab a chunk from the spine area, and enjoy your first taste of that Asam Pedas sour and spicy, curry chili soup. 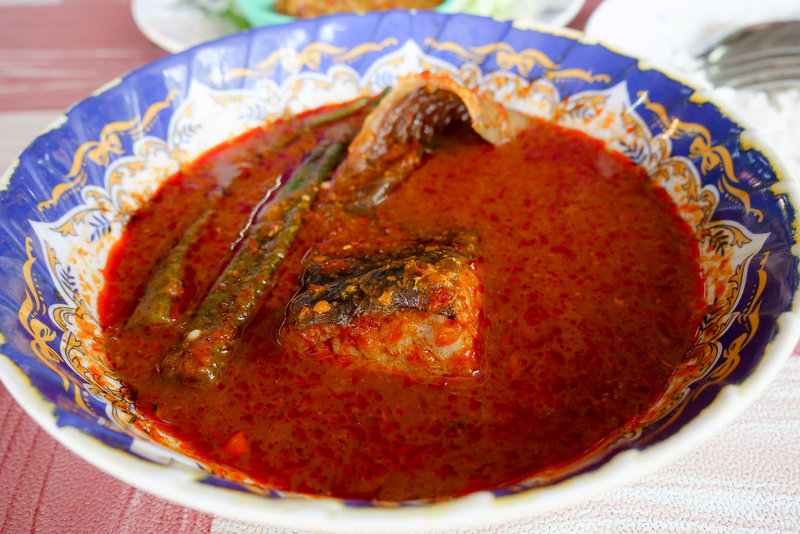 The exact origins of the Asam Pedas are unclear, but its obviously a dish that perfectly accepts whatever ingredients a locale has readily available. Just the kind of recipe that any traveling fisherman would fall in love with, and you can clearly see this in how Malaysia, Indonesia, and Thailand, all have their own versions of sour spicy soup. Continue on your own explorations of the flavorful depths of Asam Pedas with one of the largest fish on the menu – a baramundi – a saltwater fish. You can see from the cross-section the huge size of the fish’s body. By the way, the soup always cooks with vegetables, and the one in the photo is similar to those most commonly cooking all over Malaysia. Those are lady fingers, or ‘okra’ as its known in the West. The okra is cooked for so long that it doesn’t really have any of its own flavor left, but it definitely adds its gooey sap into the soup, giving it much more body and depth of texture than if the soup was made using only a chili paste. Before moving on to another bowl of Asam Pedas (yes, it is so delicious that even two bowls will not be enough), another food that you absolutely have to try here is this special sambal with herbs. Most restaurants I visit in Malaysia have sambal ready on a side table, self-service and free with any meal. At Asam Pedas Pakman though, they are really taking some initiative to spend much more time in preparing their sambal (you have to order this from the menu, but it is so worth the 3RM price). I think I have yet to ever find a dipping sauce that was so earthy and bitter, so fruity yet barely sweet, and and overall just so well-received by every tastebud in my tongue. It was mushy like a roast tomato, but I think the majority of its mass is pure chili pepper – no tomato at all. There is also a slightly sweet and ultra-sour peel texture, either a fleshy mash of a baby tamarind, or the peel of a water olive. Describing the amount of flavor in this, I can only think about the mega umami-ness of SomTam in Thailand, maybe a fruit ‘salad’ in Central Laos, or the ultimate bursting sourness of an Achar pickle from South India. For a totally different texture, but still very much a fish, try a final bowl of Asam Pedas with a section of meat from a stingray. Melaka is well-known for using stingray in their cuisine, and it usually comes in beautiful layerings of some type of red curry sauce. Whether they’re grilling stingray, wrapping it in a banana leaf, marinating it, or just frying first and then bathing it in curry later, stingray is another fish just perfectly matched, wonderfully cared for, by the spicy and sour flavors that dominate this amazing Malay cuisine. Finally, after trying all the different meats, I am happy to be able to tell you – it is quite culturally acceptable to lick your fingers, and to drink the soup. Its so delicious that of course, I was thinking of this already – trust me, it is safe to do what you want to do, go ahead and lick every last drop of curry from your fingers when your fish are finally gone. I’m not sure of the owners’ exact arrangement inside, but there are actually two sections of this restaurant. This brown sign is what you will see when driving from downtown Melaka, this is the largest sign facing the street. This is not the food we came to eat however, but you can be sure that you’re still in the right place. “Kuih” is a Hokkien word written in English, and its the name for all of the sweet and savory cakes made with coconut and flour which are selling on the left (as you walk in). Note: Online, you can see the restaurant hours begin at 8am. 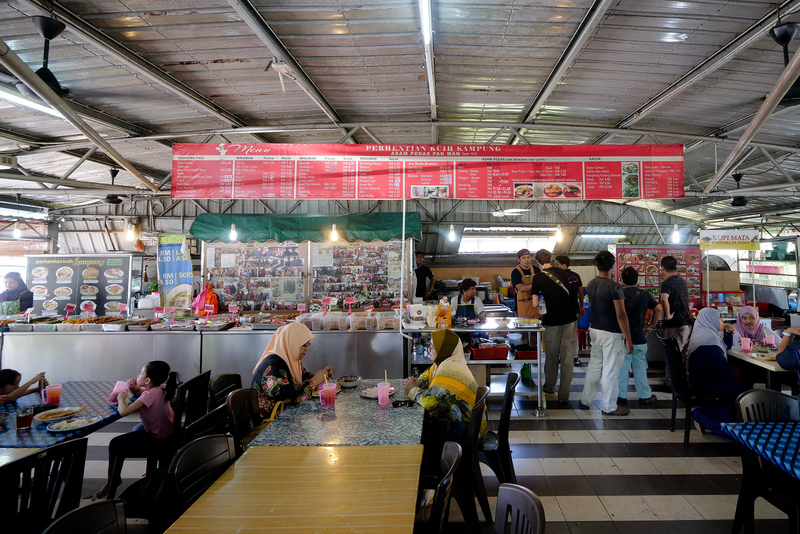 The restaurant was quite busy when we arrived at opening time (they’re quite famous for their dishes of roti canai as well, which sold out by 10am actually), but the Asam Pedas itself took another 90 minutes before it was ready. 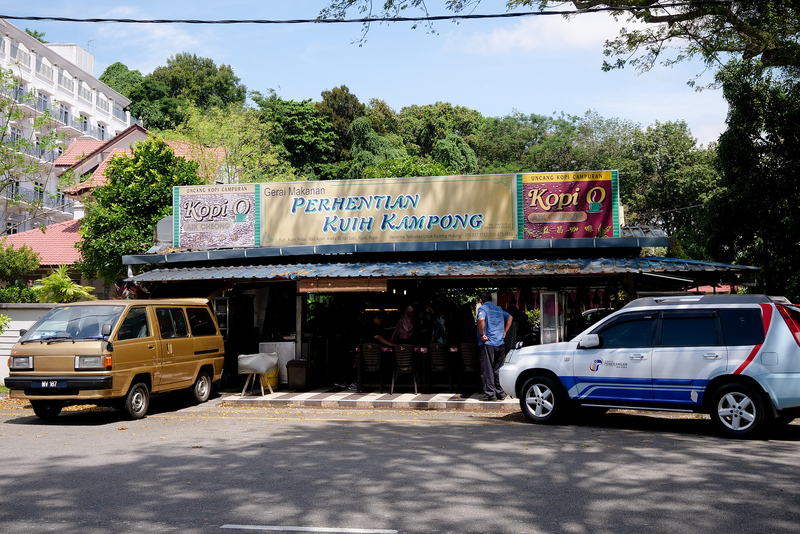 Melaka has plenty of other places we recommend for a first breakfast though, why not try Kedai Kopi Chung Wah? As any lover of spicy food will know, South East Asia is home to a huge variety of the world’s most well known foods including chili peppers. The amount of brilliant things these beautiful cultures are doing with chilis astounds me to no end. 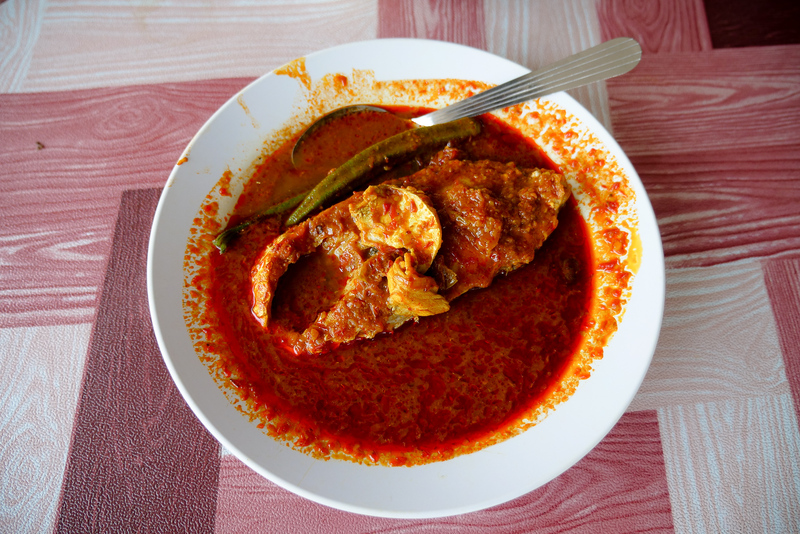 Learning more about Asam Pedas, and eating more than a few bowls of it, was a great experience for me – even worth the trip to Melaka, just to have this curry! 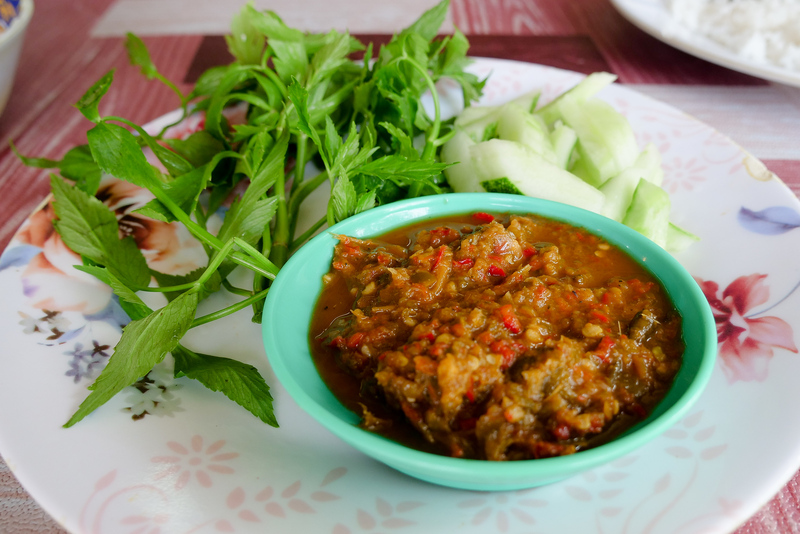 Specifically obvious in Malaysia’s cuisine, this single food includes entire chilies cooking in soup, a paste using chilies to flavor the food, and finally a third use of chilies in sauce you dip into when eating. Now that’s a great way to honor the chili pepper. Incredible that chilis are not even native to this part of the world, but Malaysia still works so wonderfully hard here to give the chili pepper a warm and continuing welcome. I love southeast Asian food because i m Indian and I tried it when I was there, I really love your article, all information is there. Thank you for sharing this article with i can understande. Rajeev, thank you for writing, and thanks for your response. I love seeing how different all of the food is in Asia, even in places as near to each other as just one country bordering another… Take care, and all the best! This hot and sour soup makes for a good starting recipe, I love this soup, And your blog is very nice keep share your thoughts with us. 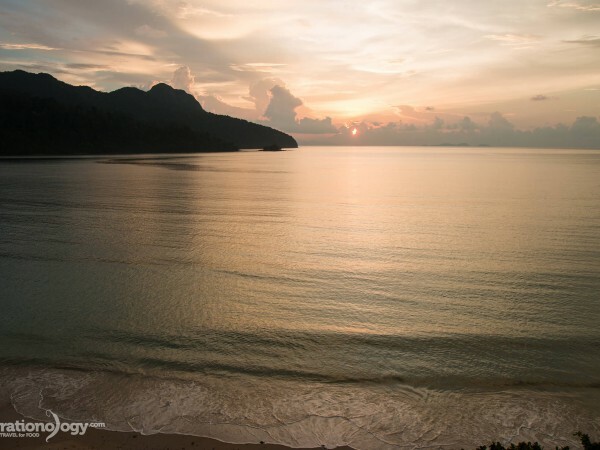 Malasya is a foodies paradise. There I have eaten really well, no matter where. 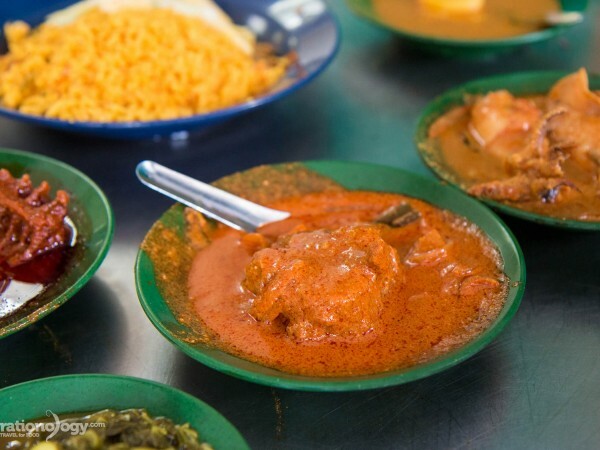 My favourite spot for a great meal is Jalan Alor in Kuala Lumpur. It´s a must in that city!! Thank you for writing Jesus, great name by the way. We did like Jalan Alor, but there were also so many more places (out of the way, less well known, but equally delicious! ), it would definitely deserve another trip, if not several more trips. You are right, no matter where, KL is a foodie paradise! Thanks for the great and informative post. I really like spicy Asian cuisine. I am planning to visit Malaysia this year and will be happy to give it a try. You are on the right track with foods like this Asam Pedas 🙂 Have a great trip, and all the best! Thanks very much, without you reading/watching/supporting, this wouldn’t be possible – so thank you! Thank you so much Shrikrishnan, take care, and have a nice day! I love south east asia food and I tried it when I was there, I really love your article, all information is there. Thank you for sharing this article with us. Sydney, thank you so much! We are lucky to live here, enjoying that food almost every day. Take care, all the best! Like your way of seeing things! Still, you may do some things to expand on it. Thanks for sharing with us! Thanks for the support, have a great day! I really admire your work! A big fan of you from quiet a few days. I love to watch travel and food related videos. I became a fan of you when I came across your videos and made a habit of watching only your videos. You are so realistic with everything! You are too kind Jasmine – thank you very much for the kind words, and your great and continued support! Thanks for writing as well, it means a lot! Take care, see you for the next video (and blog post)! It would be as tasty as it looks! thankyou for sharing the post . Vikas, very happy to do so, thank you for your support! Can’t wait for your guide on Kuala Lumpur! You really inspire me! Love all the videos and your expression after the first bite is a trademark!! I’m hungry dancing after reading your post… Looks delicious, thanks for sharing! Jaun! Thank you, thats a great comment… any other foods that make you hungry dancing? I think we are probably familiar with this dance as well. Dear Mark, I have become a fan of yours and your exciting work. Always clean reviews of every place you visit. You can really feel the enjoyment of a meal when watching you eat. John thanks a lot, we enjoyed visiting these places immensely. Thank you for your support, and for taking the time to write as well (its very important, thank you!) Have a great day today! Hi Onam! Yes, always a wonderful time… Thanks for reading! Thank you very much Adrina, we will keep it up! Take care, have a great day today! Malaysia is a pradise for food! Love it there! nice mark i am from india nice video. i am watching your videos when you was travelling to turkey. Hello, and greetings to you! Thank you for your support, and I wish you safe travels on your return trip as well. Take care! I have always been fan of Malaysian food and review from you and especially those images made my mouth water. Thank you very much Vijaypal, we were fortunate to be able to spend so much time there eating and relaxing! Have a great day! I have watched most of your videos you are doing a great job. Hi Susil! I hope you are well today, and thanks for your support! Actually, there are several videos and articles already here from Mark’s travels in India (several trips even), did you read any of those articles yet? Of course, there will always be another trip to a country as amazing as India 🙂 Have a great day! Hi Saida, thanks for reading! 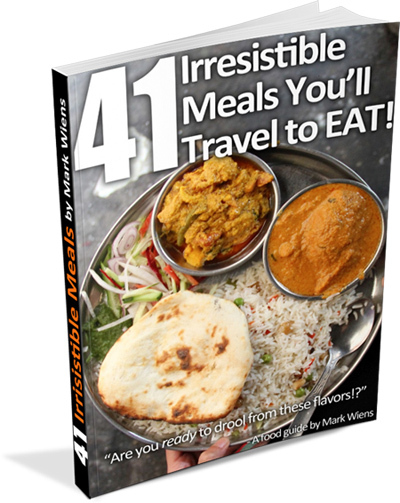 You will absolutely love this food whenever you get the chance, and I hope that you get that chance soon! Have a great day.